There will be three speakers giving short talks at this meeting, reporting the progress to date of new research projects. Last September’s members’ presentations were amongst the very best talks we have had, so this month’s speakers have a lot to live up to. 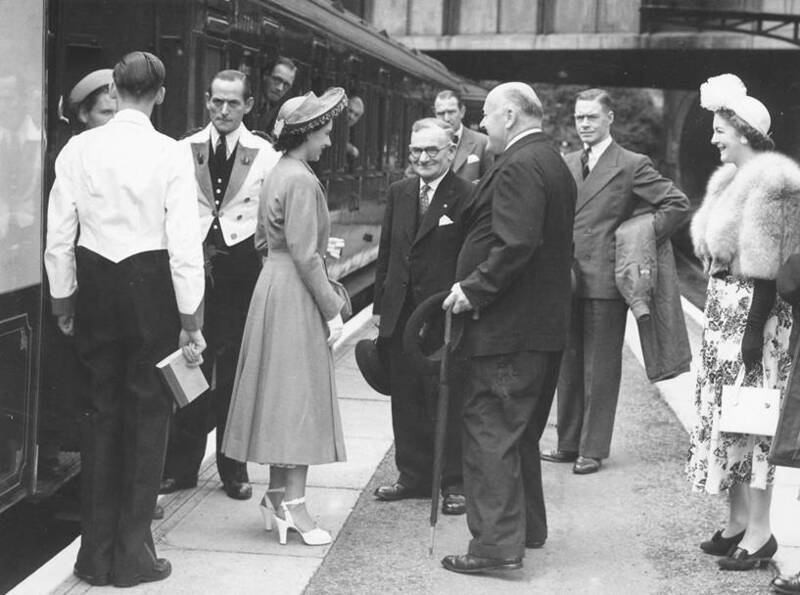 Princess Margaret arrives at Lewes station in the 1950s, on what appears to be a normal train. She was presumably arriving to visit Glyndebourne, as the bald gentleman greeting her is John Christie, founder of the opera there. His wife, the opera singer Audrey Mildmay, stands to the right. F.C. 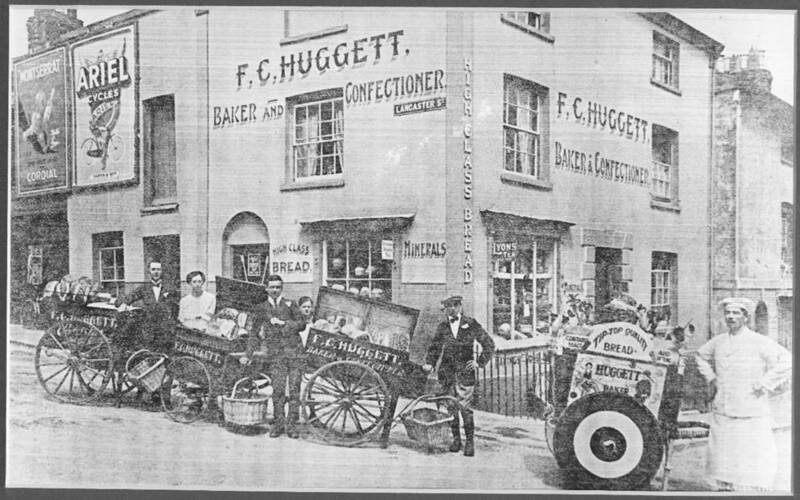 Huggett’s baker’s shop, shown in an Edwardian photograph provided by Jean Smith, was on the corner of Lancaster Street and North Street. Several generations of the family were bakers in St John-sub-Castro. Housewives expected bread delivered to their door. The building is still there. I am new to Lewes and am researching the old Lewes-Uckfield railway. I would appreciate any assistance you may be able to give. What I was thinking of is old photographs and recollections, and any kind of memorabilia they may have to hand. Contact: nikolairomanov@o2.co.uk. This letter was sent to King Henry VIII’s chief minister Thomas Cromwell from Lewes by one William Cholmeley in 1537. 1537 was the year Lewes Priory was dissolved, but the demolition of the main priory buildings ordered by Cromwell did not occur until 1538. Cromwell himself retained the Prior’s lodgings, which he extended to form a house for his son, called The Lord’s Place. Cromwell of course fell from grace and was executed in 1540, over his promotion of Anne of Cleves as the king’s fourth wife. This letter is also a very early, if not the first, reference to the Lewes parish of St Anne’s. It occurs prior to the formal union in 1538 of the two Priory parishes of St Peter and St Mary Westout. There are only a handful of references to St Anne’s in the 16th and 17th centuries, although this later became the commonly used name of Lewes’s western parish. Source: Stevens, F.B., ‘The dedication of St Anne’s Church, Lewes’, Sussex Arch. Coll. (1911), vol.54, pp.265-270. “The Sussex Advertiser, conducted upon Whig principles, was established in 1745, and is consequently in the 100th year of its existence. Until recently it was the property of the Lee family. The present proprietor is Mr G.P. Bacon, son of the late editor of the Norwich Mercury. Office, 64 High Street. Day of publication, Tuesday. 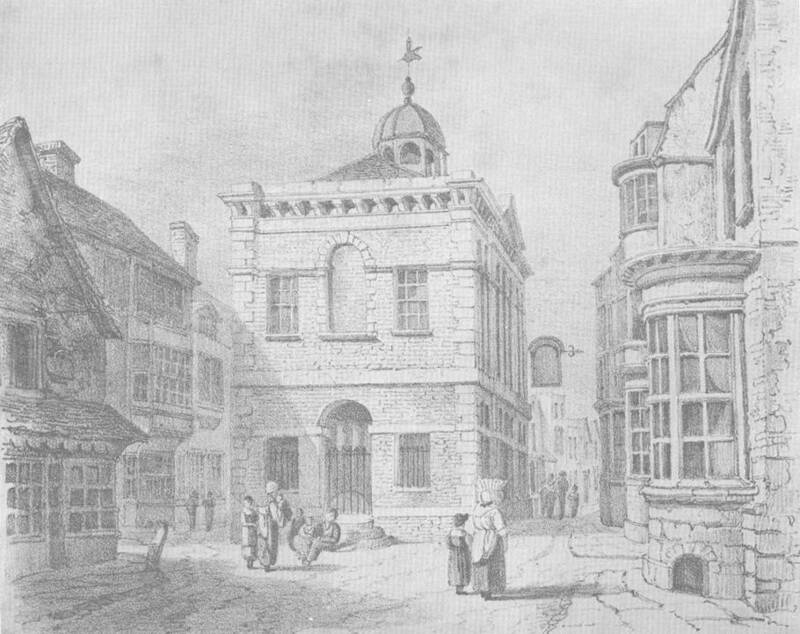 This Baxter print shows the old Town Hall and Sessions House that used to stand in the middle of the High Street. The view is from the top of School Hill, looking west. The entrances to St Mary’s Lane (Station Street) and Fisher Street can be seen to the left and right of the Town Hall. This structure was built in 1761, replacing an earlier wooden building from the Elizabethan era. It lasted for barely half a century, being taken down in 1812. Its impact on the free movement of traffic must have been considerable. The identity of the large house photographed by A.M. Bliss of Lewes and shown in Bulletin no.5 (above) has been solved. 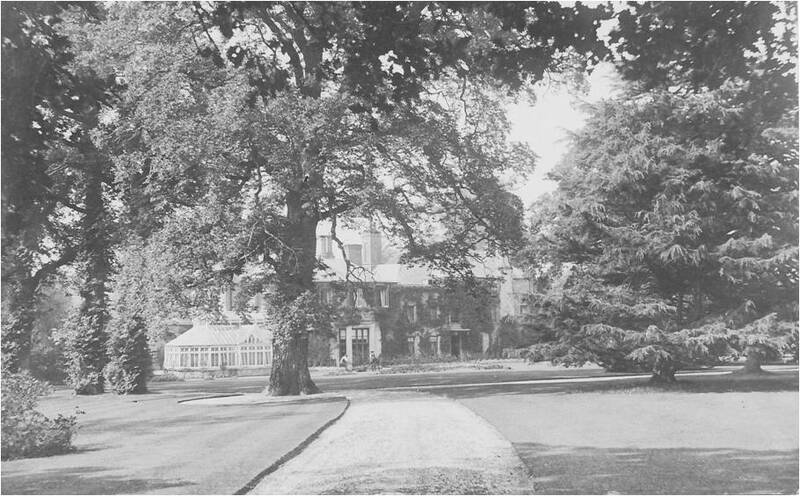 Not, unfortunately, by any of the readers of this Bulletin, but through the advertisement on ebay of another postcard showing the same house, with its distinctive conservatory. This time the house is shown in clearer view, and is named (below). 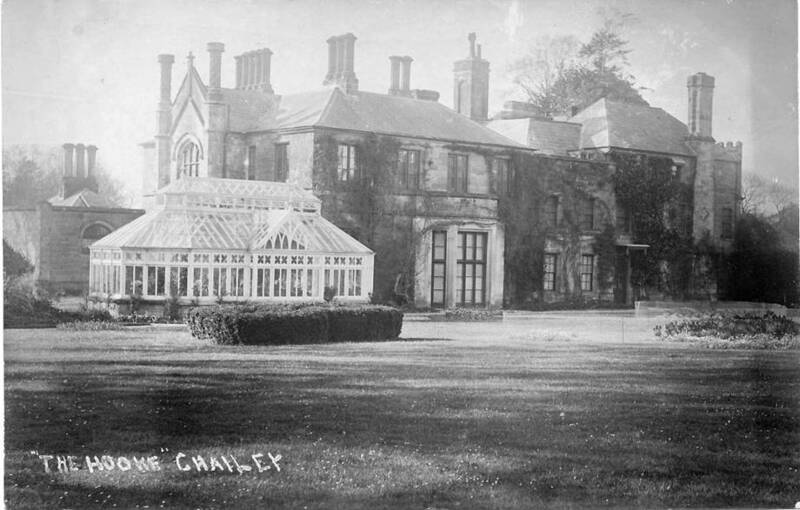 It is a house called The Hooke in Chailey parish. It was owned in the 18th century by the Poole family, who also owned The Friars in Lewes, and in the 19th century by the Blencowe family, prominent local magistrates. This entry was posted in Lewes, Local History and tagged bakeries, Glyndebourne, Lewes Priory, Princess Margaret, St Anne's parish, Sussex Agricultural Express. Bookmark the permalink.